The Samsung Galaxy S3 is without question an extremely powerful device, with benchmark scores soaring far ahead of any other quad core or dual core device. But what if you aren’t a fan of Touchwiz? What if you would like to have stock Android ICS running on your shiny new Galaxy S3? What if you would like to overclock its already blazingly fast processors, or make complete backups of your entire operating system that you could restore later? If any of those things sound appealing to you, you will naturally need to root your device, which as you know, can be risky. 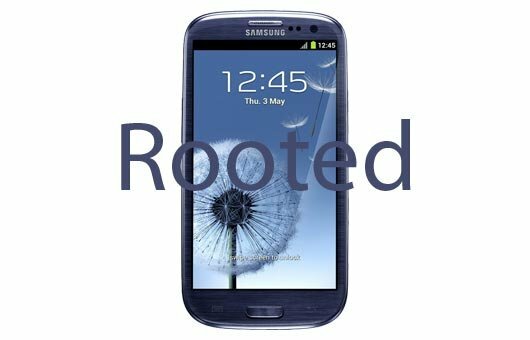 But fortunately for you, the Galaxy S3 is a VERY easy device to root and unroot, and in this video I will walk you through the steps of unlocking the bootloader, rooting the phone, flashing recovery, making a backup, and flashing Cyanogenmod 9 (ICS) on the Galaxy S3. Rooting your device is dangerous and can potentially destroy it if you don’t follow instructions. I’m not responsible for anything bad happening to your device, your dog dying, or thermonuclear war. And remember, this rooting method currently ONLY WORKS FOR INTERNATIONAL VERSIONS OF THE GALAXY S3, NOT THE DUAL CORE US VERSION. YOU HAVE BEEN WARNED!! With that being said, as you see in the video, the phone is very easy to root, and I ran into no problems what so ever, despite it being the first time I ever attempted rooting the phone (which happens to belong to my boss). The Samsung Galaxy S3 toolkit (a huge thank you to XDA member mskip for providing this! ), which you can grab here. CyanogenMod 9 nightly build (a huge thanks to Cyanogen and the entire CyanogenMOD team for these great nightly ROMS!) and the Google Apps package which can both be found here. The video (it's long, but thorough) is very very very “newbie proof”, and will show you step by step instructions on how to root the device, make a backup, and flash CyanogenMod 9. It contains closeups that rotate between the Toolkit running on the PC and what’s happening on the Galaxy S3 screen. If you run into any problems or have questions, be sure to let me know in the comments, or hit me up with a private message. The video can be viewed below (YouTube link here). Happy rooting, and thanks again to the CyanogenMod team and to XDA member mskip for all their great work!